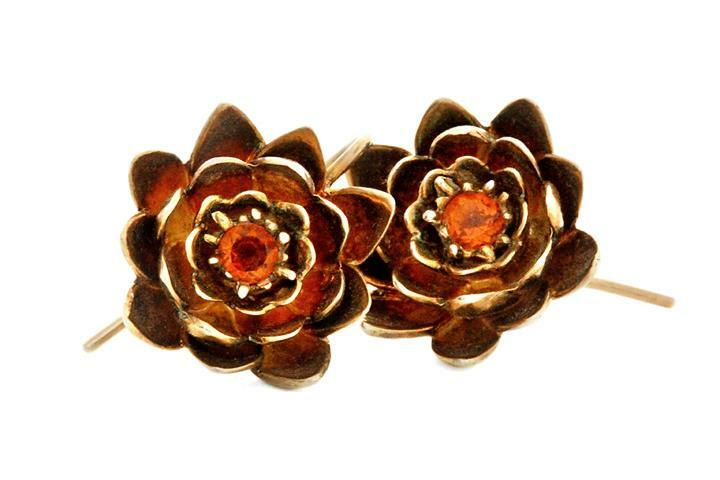 These earrings are miniature sculptures of delicate Water Lily Flowers. They are made from Sterling Silver, and gilded in Yellow Gold. 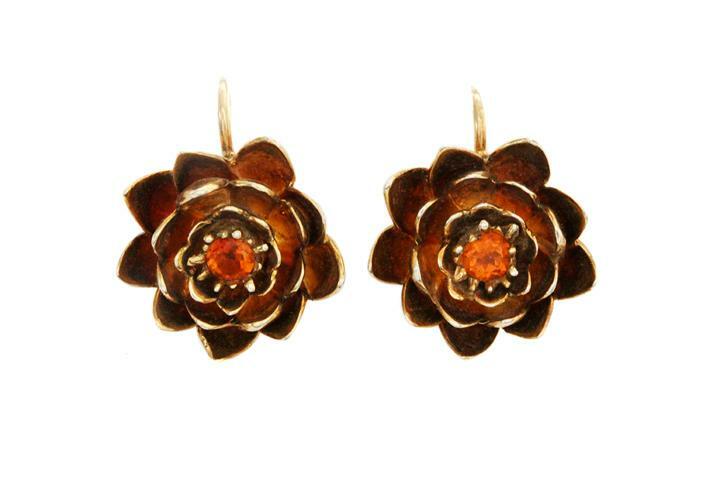 Each flower features a Round Faceted Citrine, measuring 3.5mm in diameter. 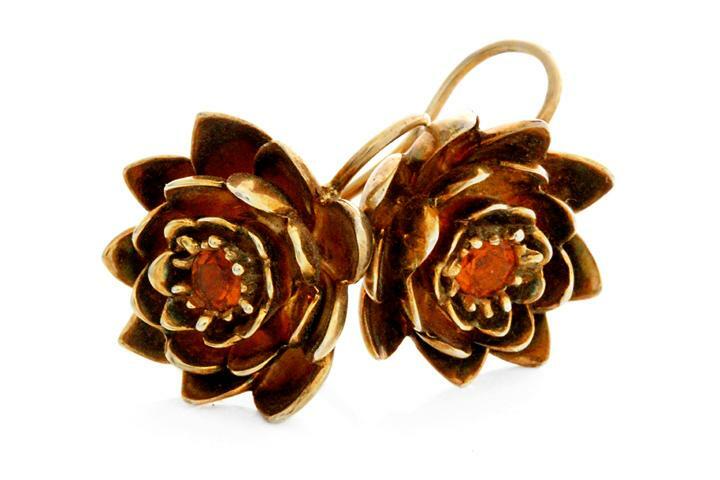 Should you prefer your Water Lily Earrings in a different metal, or with different colour stones, please Contact Us!